You may know that guava fruit is classified as a superfood, due to its health benefits (having four times more vitamin C than an orange and ten times more vitamin A than a lemon). But, did you know that its leaves are even powerful than the fruit itself? I didn’t, until reading it in one of my books. I have spent a month, researching, reading stories and articles, different book and found out that all them say same things. I bought dried guava leaves from the Internet (£4.49 for 100g). I am so determinate to write this review because people have to know about the health benefits of guava leaves. You don’t need to spend money on an expensive supplement or creams for a better-looking skin and hair. Remember, if you want to have a glorious skin and thick hair start to nourish your body. Creams and masks won’t help you much; most of them are just good presented marketing products. Healthier Hair. This is what grabbed my attention. We all have experience hair loss at some point in our life. You know how frustrating is to see that your hair is falling, and you can not do much about it. Most hair products on the market that It is a fact that many hair care products on the market that promise to control and prevent hair fall do not work at all. Plus, they are more often than not filled with chemicals that cause more damage to your hair. By using an all-natural treatment like guava leaves, you make sure that these harmful substances do not touch your hair; you only give it the goodness that nature has to offer to control and prevent hair fall do not usually work. Some of them are full of Chemicals that cause even more damage to your hair. You should always search for a natural treatment, which is free of harmful substances. 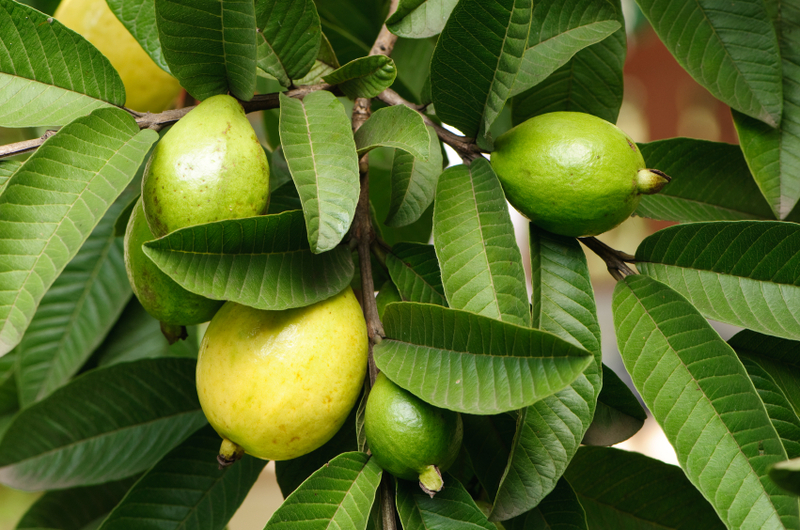 The best natural product for hair loss is guava leaves. They are rich in Vitamin B; that helps in the repair of cells and tissues and maintenance of healthy hair. All you need to do is just to use them as a part of your hair care regime. You can do that by boiling a handful of guava leaves (you can buy them on the Internet) in 500ml of water for 10 to 15 minutes. You need to let it cool down to room temperature and then to apply gently it on your hair. You should always start from the roots ti tip but concentrate on your roots and scalp. When doing this, you will notice that your hair is becoming more strengthened, thick and shiny. Oral Health. 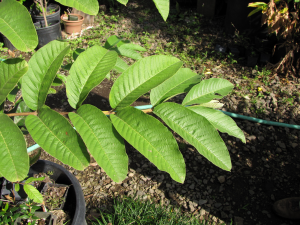 Guava leaves have anti-microbial properties. That is why they are good for your oral hygiene. Research carried out by Dr. Adkins 2014 have shown that 9 in 10 people overcome core and inflamed gum. All you need to do is just to chew guava leaves or make a tea from dried leaves and make a gargle first thing in the morning. Lowers Bad Cholesterol (LDL) and Blood Glucose Levels. If you drink a tea made from guava leaves that will help you to decrease the level of LDL cholesterol and increase the level of HDL (good) cholesterol. They also assist in lowering the levels of sugar in your blood. Treat Congestion. Guava leaves have a positive effect on our respiratory system. All you need to do again is to make tea and drink it if you have bronchitis, cough or any other congestion problem. There are many other benefits of guava leaves like healthier hair, stronger immune system, and healthier digestive system. I have not read that there are any side effects of taking guava leaves. I like this product and its taste. I mainly use it for my hair loss problem that I experience at the moment, and honestly, I already feel the benefit of it. I feel my hair much shinier and healthier. have high quality content here. Your page deserves to go viral. This is a memo to the website creator. I came to your Health Benefits of Guava Leaves | Mel Made Life page by searching on Google but it was hard to find as you were not on the first page of search results. I know you could have more traffic to your site. I have found a website which offers to dramatically increase your rankings and traffic to your site: http://lis.ovh/h9 I managed to get close to 500 visitors/day using their service, you can also get many more targeted traffic from search engines than you have now. Their services brought significantly more traffic to my website. I hope this helps! This is a comment to the website creator. I came to your Health Benefits of Guava Leaves | Mel Made Life page by searching on Google but it was hard to find as you were not on the first page of search results. I know you could have more visitors to your website. I have found a website which offers to dramatically increase your website rankings and traffic to your site: http://www.prestonkincaid.com/link/15 I managed to get close to 500 visitors/day using their services, you can also get many more targeted traffic from Google than you have now. Their services brought significantly more traffic to my website. I hope this helps!